In this post, I want to point you to some recent research into alternating group and individual brainstorming using brainwriting. Recent studies suggest that so-called hybrid brainwriting leads to more ideas than both group and individual brainwriting. This is good news because several prior studies have indicated that individuals brainstorming by themselves tend to generate more ideas than groups containing these individuals. Hybrid brainwriting is straight-forward; you can use it right away to generate more and better ideas. Traditional group brainstorming is somewhat of a double-edged sword. We organize brainstorming groups with members from different fields to create synergy. That is, we hope that by building on other’s ideas, participants can come up with more unique and better ideas. Almost every one of us has shared a problem with a good friend and by bouncing ideas, come up with something they wouldn’t have been able to think up by themselves. What’s more, group brainstorming leads to a better acceptance of ideas and helps to communicate them to fellow team members. Generating ideas is only the first step; subsequently ideas have to be evaluated, developed further, and ultimately implemented. You can’t do it alone: great products and systems are usually the work of great teams. On the other hand, controlled for time, face-to-face brainstorming groups often generate fewer ideas than so-called nominal groups (the pooled ideas coming from a comparable number of individual “brainstormers”). And what is important here: studies have also indicated that the more ideas are generated, the more good ideas are generated! Why do face-to-face brainstorming groups come up with fewer ideas than teams where everyone brainstorms individually? Here are the three most common reasons for the drop in productivity. 1. In groups, only one person can speak their idea at a time. Others have to wait for their turn. What’s more, by attending to someone else’s idea and hoping to expand on it, you are interrupting your own train of thought. 2. Despite being assured by the brainstorming rules that criticism is not allowed and that wild and crazy ideas are encouraged, individuals might withhold ideas for fear of being negatively evaluated by their peers or their boss (who might also attend the session). 3. In a group activity, there is less individual accountability: some participants might not pull their weight. However, there are approaches to brainstorming that do not have these short-comings: one of them is brainwriting. To do brainwriting, you sit a group of people in a circle and equip them with pen and paper. Instead of speaking out his/her idea, each team member writes it on a sheet of paper and forwards the paper to the person to their right. The receiver has to read the idea before writing down another idea. There are several variations of brainwriting: in the two studies we are going to look at, participants worked in groups of three and wrote each idea on a separate paper slip, so each slip contained only one idea. No criticism is allowed during brainstorming. Combine and build on other’s ideas. Write each idea on a different slip of paper and pass it to the person to your right. Read each idea you receive from the person to your left. (If you receive an idea while still writing, finish writing your idea first). After reading, pass the idea on to the person to the right. Note: There are other variations of brainwriting where multiple ideas are written on a sheet of paper: Every participant starts with an empty sheet, writes down an idea and forwards it to the person to their right. The receiver reads the idea and writes his/her idea on the same sheet of paper. 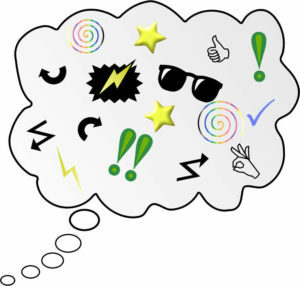 “635 Brainwriting,” devised by Bernd Rohrbach, is a well-known technique using this approach. In 2015, Paul Paulus and colleagues conducted a hybrid brainwriting study in a high-technology company to test alternating group and individual brainwriting, with a topic relevant to the company. During the group phase, the brainwriting procedure described above was used. During the individual phase, participants also wrote one idea per paper slip, but placed the slips next to them instead of passing them on. So, others could see roughly how many ideas they had generated. The topic, “how to make an excellent, significant, and effective team,” was chosen by the firm’s leadership. The manager of a unit of 80 people felt that an increase in the number of staff had not resulted in a significant productivity increase. Condition 1, Group-Alone (GA): 10 minutes of group brainwriting (as described above) in 3-member groups, followed by 10 minutes of individual brainwriting. Condition 2, Alone-Group (AG) was condition 1 reversed: The participants first individually generated ideas for 10 minutes; they then participated in a 10-minute group phase. Participants in the GA condition created more ideas than in the AG condition. During the first phase, around 40% more ideas were created in the group condition than in the alone condition. This is an important finding because it shows that group brainwriting can be as efficient (if not more) as individual brainstorming in a real-world scenario! In contrast, regular face-to-face brainstorming often leads to fewer ideas. Participants in the GA condition felt more motivated, competitive, and productive (which they were) compared to participants in the AG condition. The group phase apparently helped to trigger more associations during the subsequent individual brainstorming phase for the GA condition. In their 2016 paper “Alternating Individual and Group Idea Generation,” Runa Korde and Paul Paulus looked at alternating group and individual brainstorming multiple times. The research was based on an earlier Ph.D. thesis by Korde (2014). It also aims to mimic real-life brainstorming: people will often bounce ideas several times before they end up with something truly unique. AGAG: Alternating individual and group brainwriting, beginning with an individual phase. GAGA: Alternating individual and group brainwriting, beginning with a group phase. AAAA: Participants in this condition brainstormed individually in 4 blocks of 8 minutes. GGGG: Participants in this condition engaged in 4 phases of group brainwriting. Participants in the hybrid conditions (AGAG and GAGA) generated more ideas than participants in the AAAA and GGGG conditions. In this experiment (contrary to the study from 2015), the condition that started with individual brainwriting (AGAG) outperformed the GAGA condition. From the data, it is apparent that after each group phase, more ideas were produced in the subsequent individual phase. The ideas generated during the group phase inspired the participants to associate more ideas during subsequent individual brainstorming! Contrary to that, there was a steady decline in ideas produced during the AAAA and GGGG conditions. 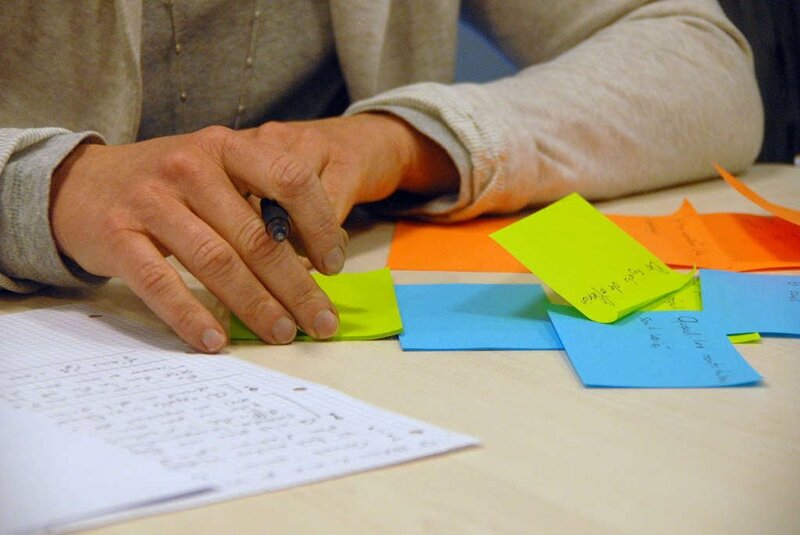 Alternating group and individual brainwriting is a very effective technique to tap into the idea pool of teams. In traditional face-to-face brainstorming sessions, controlled for time, often fewer ideas are produced than when people brainstorm individually. On the other hand, in the above studies, hybrid brainwriting outperformed both group and individual brainstorming. The experiments used 3 participants per group and kept each phase with 8/10 minutes relatively short. The ideal group size cannot be determined from these experiments; in earlier studies, groups with 4 members each also did well. I think you can easily go up to 6 members per group. To spice things up, you could also re-shuffle the groups after each phase. Korde, Runa, and Paul B. Paulus. “Alternating Individual and Group Idea Generation: Finding the Elusive Synergy.” Journal of Experimental Social Psychology, 2016. http://www.sciencedirect.com/science/article/pii/S0022103116302591. Paulus, Paul B., Jubilee Dickson, Runa Korde, Ravit Cohen-Meitar, and Abraham Carmeli. “Getting the Most out of Brainstorming Groups.” In Open Innovation: Academic and Practical Perspectives on the Journey from Idea to Market, 43. Oxford University Press, 2016. Paulus, Paul B., Runa M. Korde, Jubilee J. Dickson, Abraham Carmeli, and Ravit Cohen-Meitar. “Asynchronous Brainstorming in an Industrial Setting: Exploratory Studies.” Human Factors 57, no. 6 (September 1, 2015): 1076–94. doi:10.1177/0018720815570374. Paulus, Paul B., and Huei-Chuan Yang. “Idea Generation in Groups: A Basis for Creativity in Organizations.” Organizational Behavior and Human Decision Processes 82, no. 1 (2000): 76–87. This entry was posted in Creative Thinking and tagged brainstorming, brainwriting by Helmut. Bookmark the permalink.